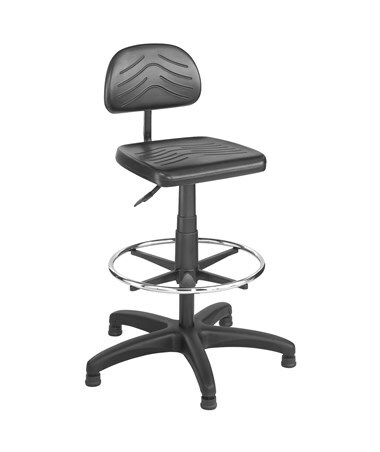 Adjustable height of 19" to 27"
The Safco TaskMaster Workbench Chair is a sturdy and reliable drafting chair perfect in working long periods of time. It can hold up to 250 pounds of weight and features a self-skinning polyurethane foam seat and back that are durable and easy to clean. Several adjustment variations are also featured, which allow customized positions for maximum comfort. The backrest’s height, depth, and tilt angle can be adjusted using the ergo knob adjustment control. The seat swivels to a full 360 degrees and its height adjusts from 19 to 27 inches. The chair’s 26 inches five-star base has high-impact nylon floor glides to prevent the chair from slipping and to protect floors from damages. Also included is a steel footrest ring to provide leg comfort. 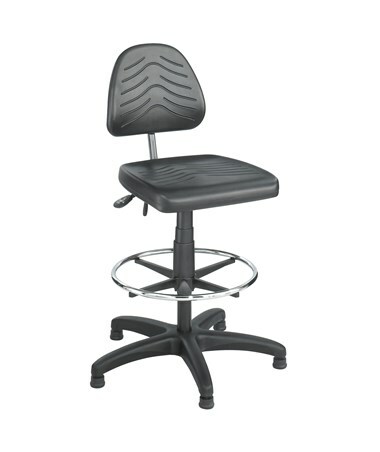 This drafting chair is available in two types, the economy and the deluxe, which differs in seat and backrest sizes. 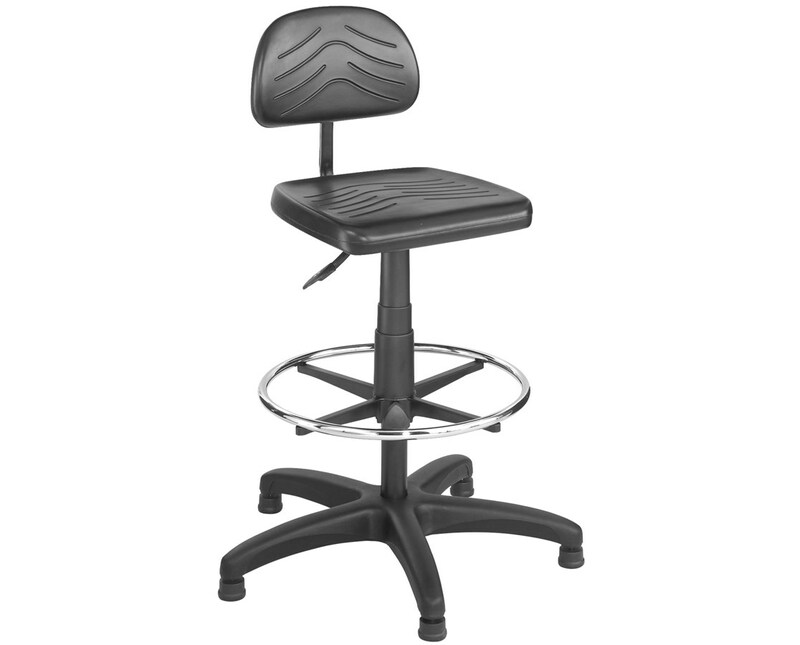 The economy type has a 16 inches seat, 14.5 inches by 9 inches high back, and an adjustable back height range of 3 inches. The deluxe type’s seat is 18.5 inches wide by 17 inches deep and 15.75 inches wide by 12 inches high back with a height adjustment range of five inches. The chair is made of nylon with two-inch black microcellular seat and back cushion. It meets ANSI/BIFMA safety standards. 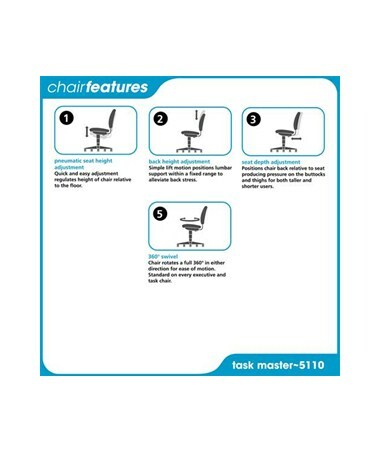 The Safco Task Master Workbench Drafting Chair is available in two different types. Please select your preference from the drop-down menu above.